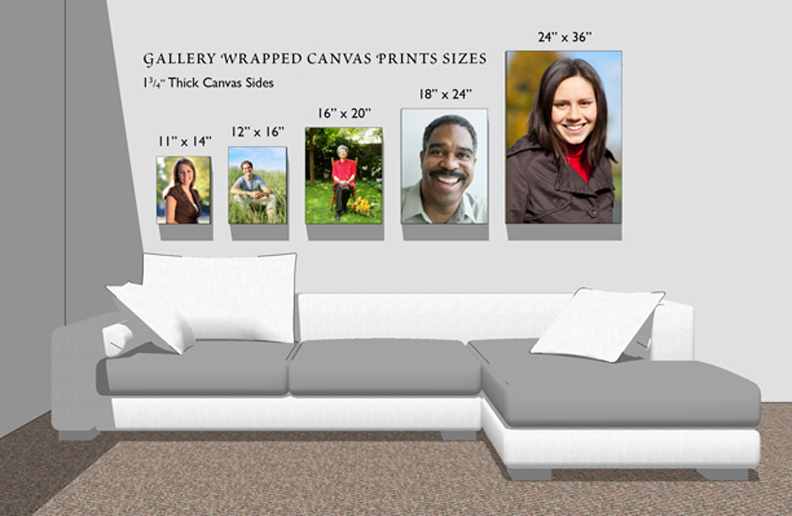 Custom printed stretched canvas print is the perfect, lasting tribute to your loved one. 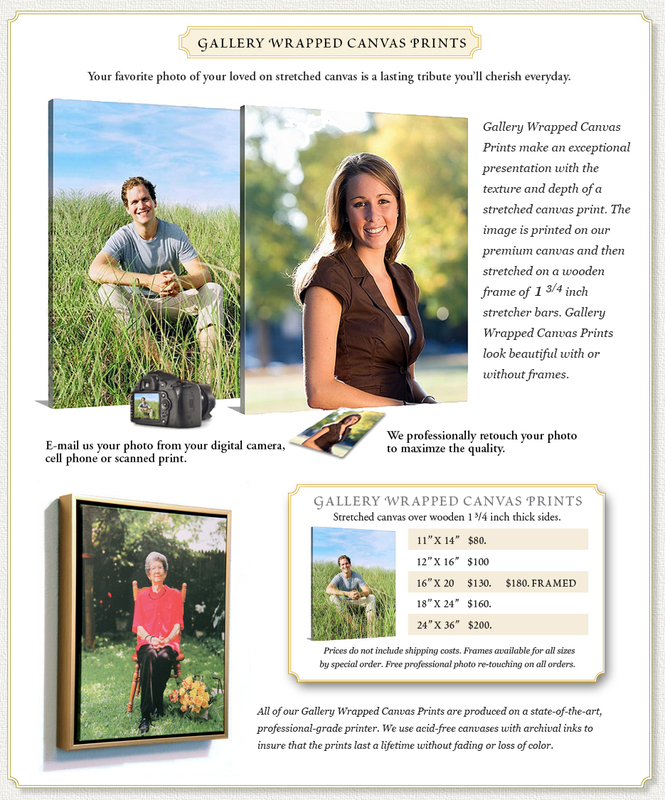 Gallery Wrapped Floater Frames are an elegant option to display the Gallery Wrapped Canvas Prints. Available in 16" x 20'"Gold frame. Also available in Black and White and additional sizes by special order.